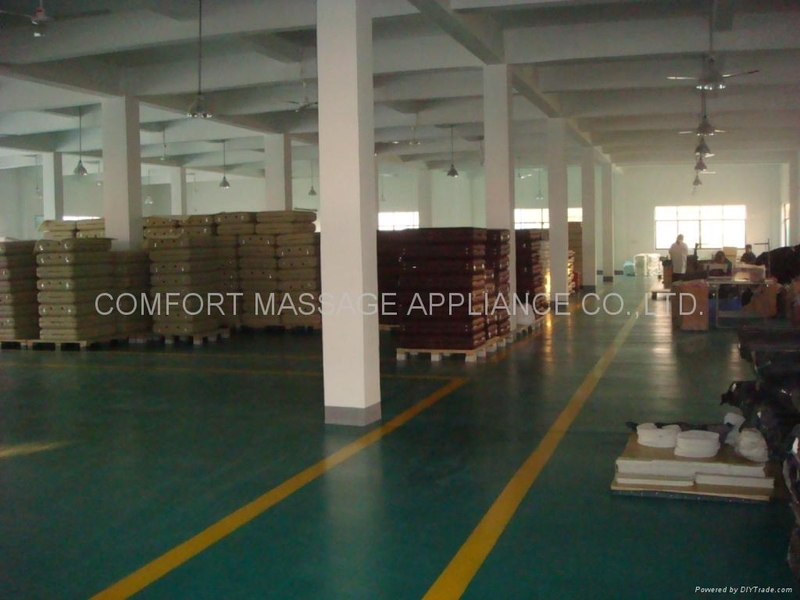 huangshan city shexian comfort massage appliance co.,ltd. Is located in shexian, huangshan city which is nearby to world-famous scenic spot-Mt.huangshan. 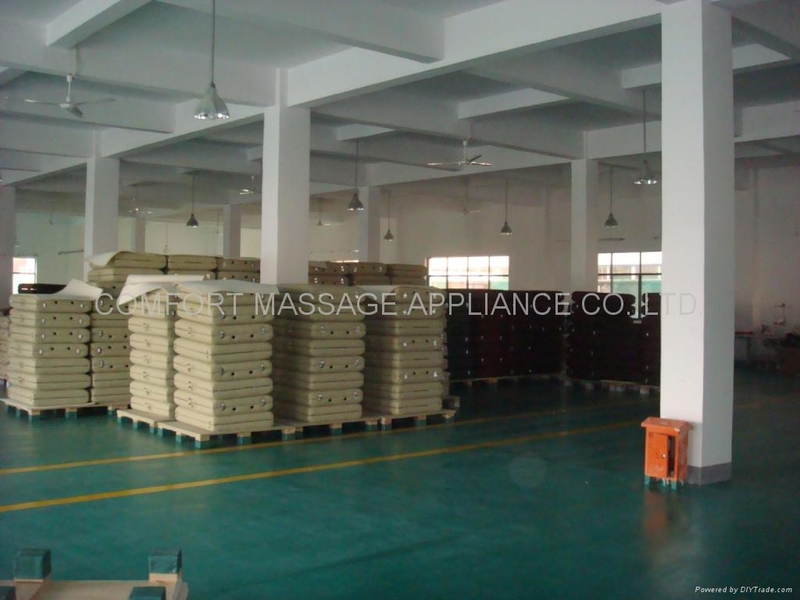 our company specialize in producing wooden massage table, iron massage table, aluminium massage table, stainless steel massage table,massage chairs and aluminium massage chair,and foot bath/massage electric sofa . All of the products are folded and portable with light weight. It is very convenient for you to take them out for tourism. 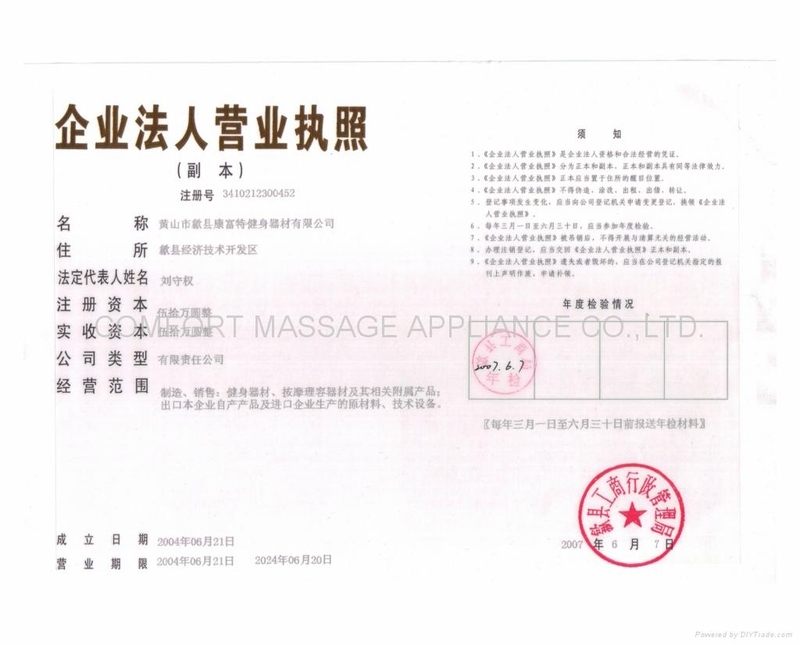 They are widely used in massage salon, hospital, hotel and household. 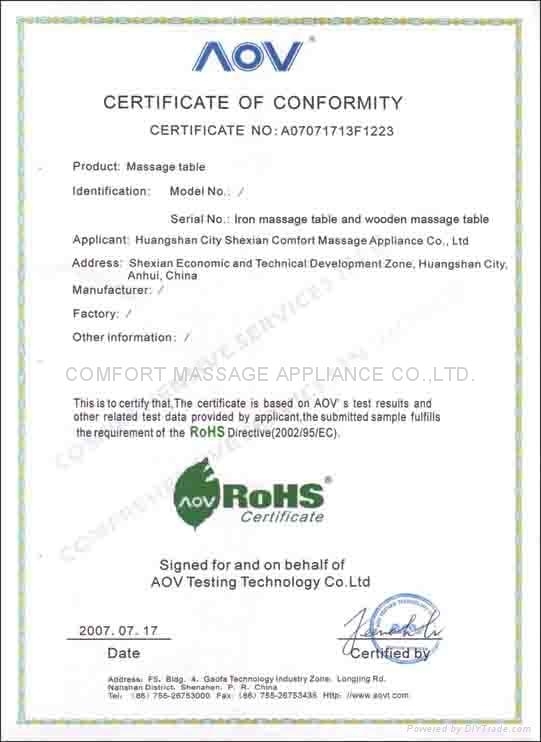 we always improve our products continuously, our products have passed the CE and ROHS test.our company has passed the ISO9001:2000 approval. we provide two years' quality guarantee for the framework of our products, if they are damaged, we will provide new products to replace them with next order, if you do not order them any more, we can compensate in money. The products sell very well in international market owing to their stable quality, fashionable style and competitive prices. we have exported our products to USA , Japan , Netherlands , Germany , UK , Austrlia and southeast asian countries. 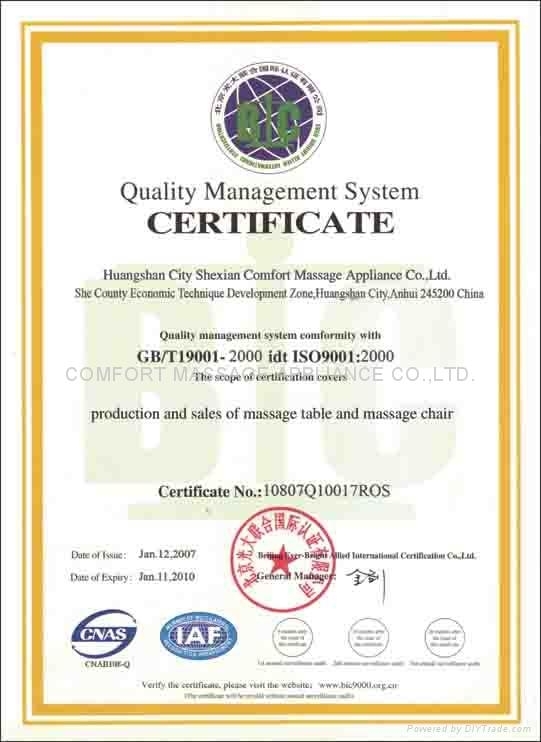 Our company has become the main manufacturer of massage table and massage chair in China . 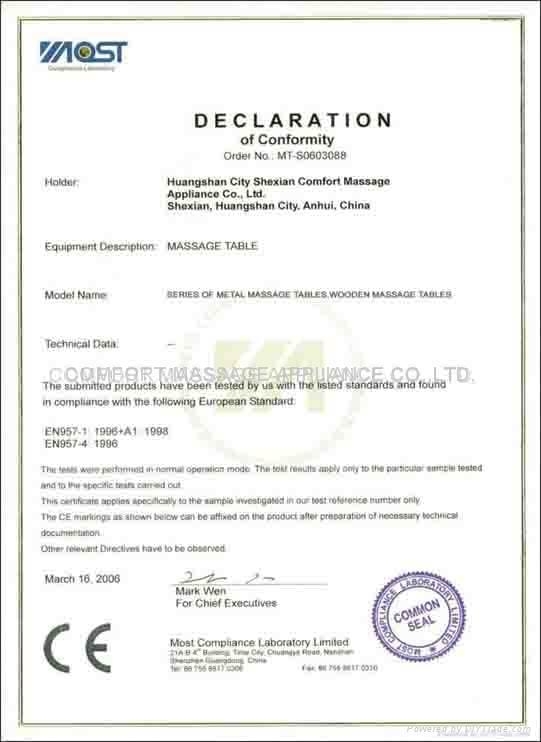 The monthly capacity of wooden massage table is up to 3000pcs, metal massage table is about 2000pcs and massage chair is up to 1500pcs, so we can complete the orders very soon. It is very convenient for you to visit our company, you can fly directly from shanghai, Beijing, Guangzhou, hongkong and other main cities in china to huangshan international airport, we can meet you at airport, it will take about 45 minutes’ drive to reach our company. We warmly welcome home and oversea customers to visit our company. Any suggestions on our products and cooperation will be received our high attention. 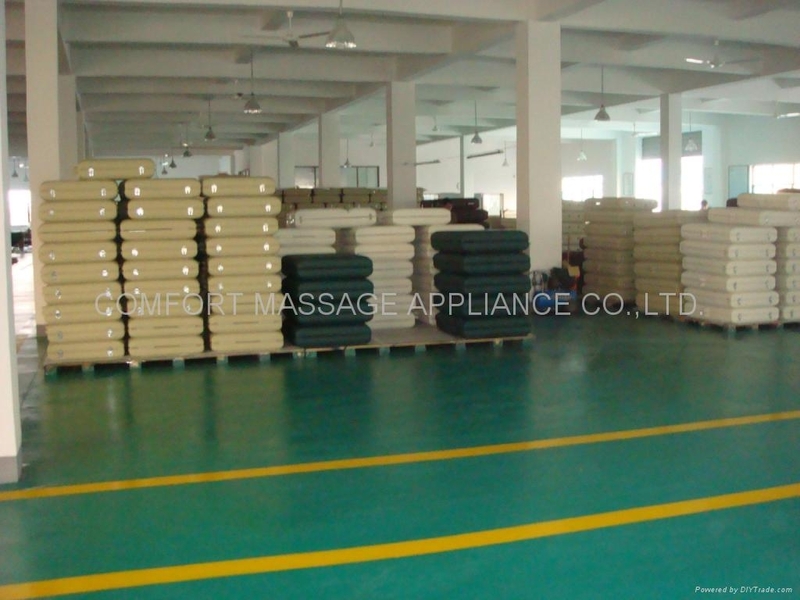 we produce iron massage tables, wooden massage tables, massage chairs and foot massage/bath electric sofa with different colors. we also provide OEM services according to customers' requirements. our massage tables are strong enough, there are 10 adults sitting on the table and shaking. the table do not break,collapse and no noise. tested by onspex, technical report no. is 30011896, date is 2009-9-29. the static test is up to 6130 pounds. the live test is up to 3300 pounds. please call onspex 021-54261199 if you want to verify the report. our company covers 7200 square meter, and 3 new buildings with 5600 square meter. so we can complete any order within 25 days. 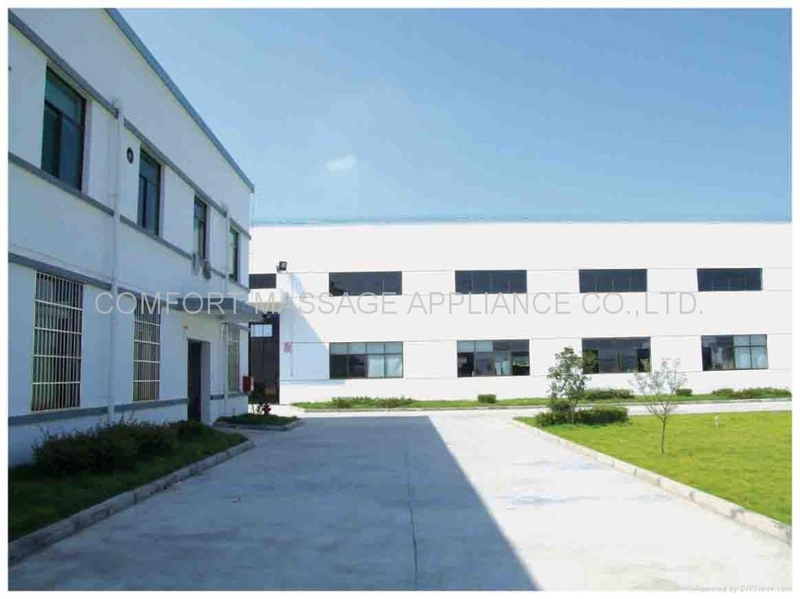 our company covers 7200 square meter, and 3 new buildings with 5600 square meter. we control the quality of our products according to ISO9001:2000, no defect products come out the factory. 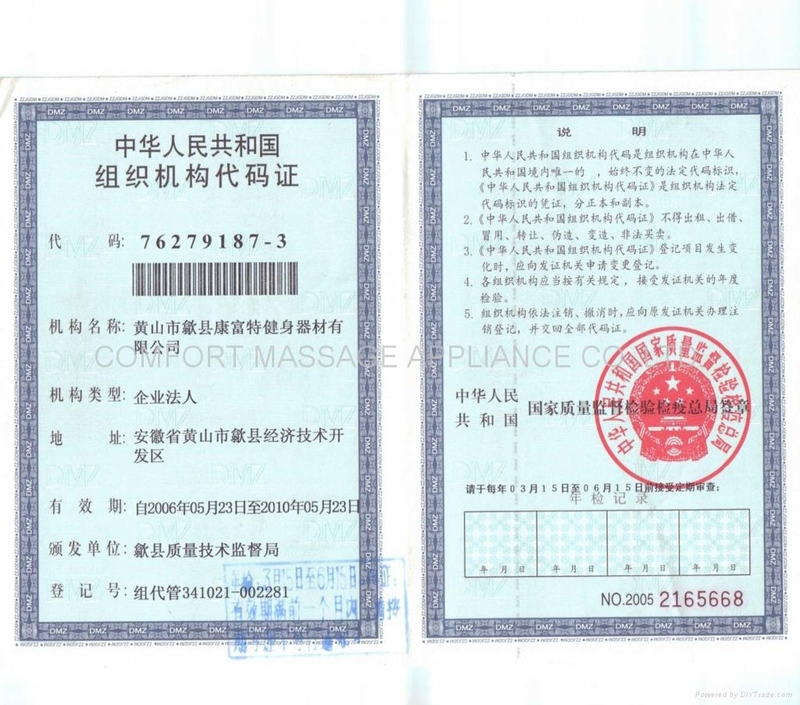 quality control: our company adopt strictly quality control management,we provide two years' quality guarantee. if the framework of our products are damaged, we will provide the new products to replace them with next order.